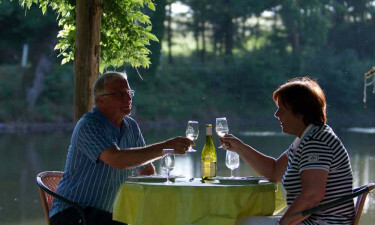 Located in the grounds of a classic French castle, Chateau le Verdoyer offers guests the chance to experience the camping holiday of a lifetime. This leading LuxCamp boasts an excellent range of amenities, including a large lake where guests are invited to unwind in style. Set in the Dordogne region of France, Chateau le Verdoyer is ideal for guests who like to stay active as golf and a range of other sports can be enjoyed here. hiking and trekking trips are also organised to guests. 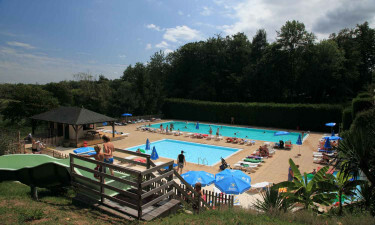 There are three swimming pools for lovers of luxury camping to splash around in at Chateau le Verdoyer. The main pool comes complete with a 37-metre long waterslide, while there is also a large covered pool and a separate Jacuzzi. People who enjoy fishing are sure to want to spend plenty of time at the lake that can be found on the edge of Chateau le Verdoyer. A large pond can also be found right in front of the castle where guests can catch carp, trench and other types of fish.